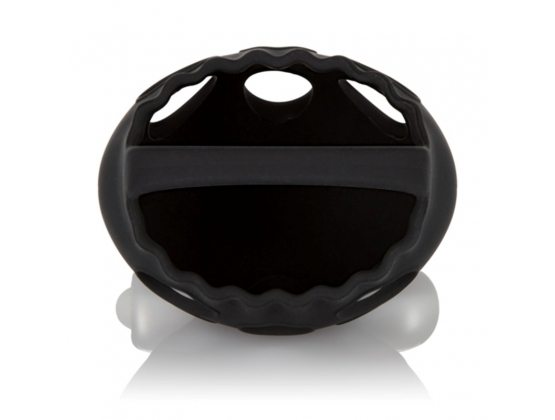 Stretchy and comfortable silicone scrotum pouch which features a removable, wireless 3-speed stimulator. This built in enhancer is absolutely perfect for those that like their testicles stimulated during sexual activity. The secure placement of the support will ensure that the vibrations stay where needed and it has a unique breathable design to ensure that it'll stay perfect for extended sessions, or sexual activity where you build up a sleek sweat. An added bonus is that because this toy is made of silicone, it's not going to absorb any bacteria, and after a clean with some toy cleaner, it'll be perfectly sterile and safe to use again.